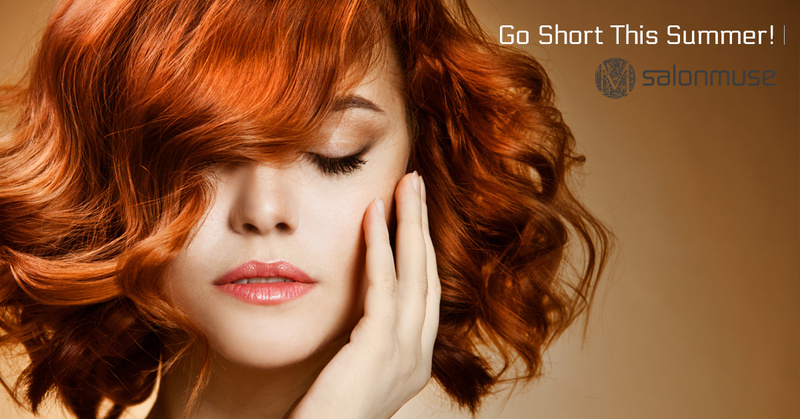 Modern Hair Salon Winter Park: Go Short This Summer! With the heat and humidity of summer in Winter Park, taking care of your long hair can become frustrating. All you want to do is get your hair off of your neck, but sometimes a ponytail or a bun isn’t always the best choice and will get old quickly. Maybe it’s time to take the plunge and cut those locks. If you’re interested in a super cute and short haircut, come to Salon Muse in Winter Park! Our excellent staff will give you the perfect cut to frame your face and bring some sass to your style. Call us today for an appointment! When you quickly do an internet search to look for hair inspiration, the sheer amount of results can be overwhelming. Before you become anxiety-ridden, think about what type of cut you want. Longer, layered, shorter, with bangs, or pixie? Once you decide what length and style you like the best, you can schedule a consultation with one of our stylists to discuss how to make that cut and style look best on your face shape and fit your lifestyle. You may feel like you just lost your security blanket when you leave the salon, but don’t worry! If you’re unsure of your new cut, remember that your hair will grow back. If you’re afraid to jump headfirst into a shorter ‘do, try cutting a few inches off at first to see how you feel about it. If you think you’d like to go shorter, you can always schedule another appointment with us to cut even more hair off. We’ll be more than happy to show you how how versatile short hair is and some different styles that you can do on your own to enjoy your new cut. Beat the heat this summer with a short haircut from Salon Muse! Call our Winter Park location today for an appointment with one of our amazing and talented stylists!